新製品案内 | アクティブホビースタッフブログ　ACTIVE HOBBY STAFF BLOG. 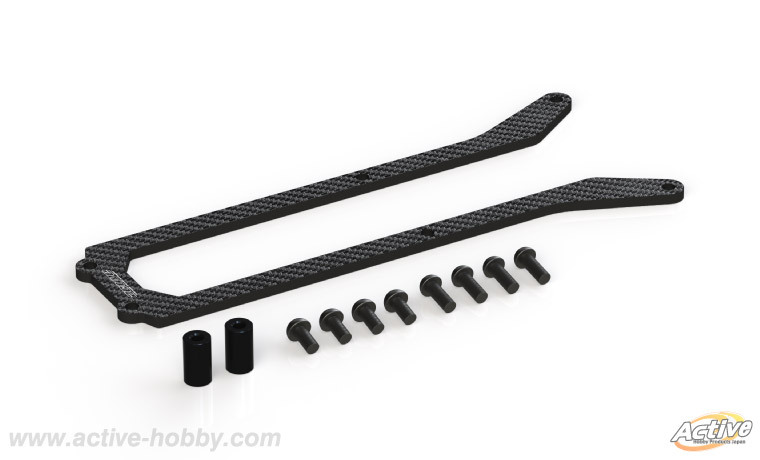 High quality, Setting parts for TA07-PRO! 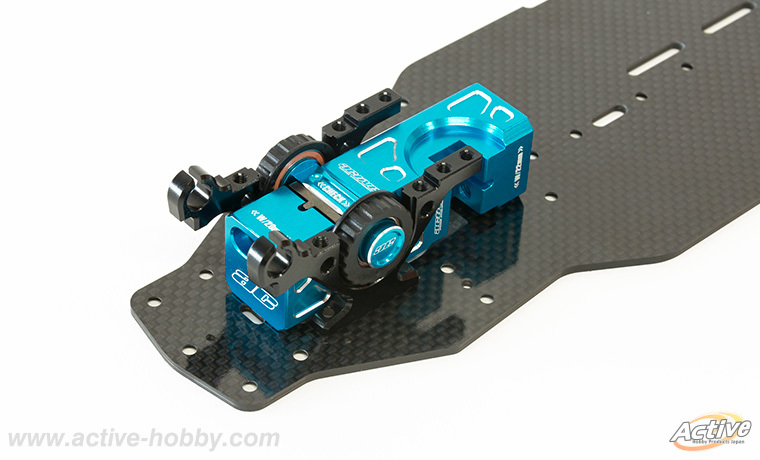 Setting parts for time-up by TA07-PRO Clubman racer! Battery holder which optimizes roll properties come up!! 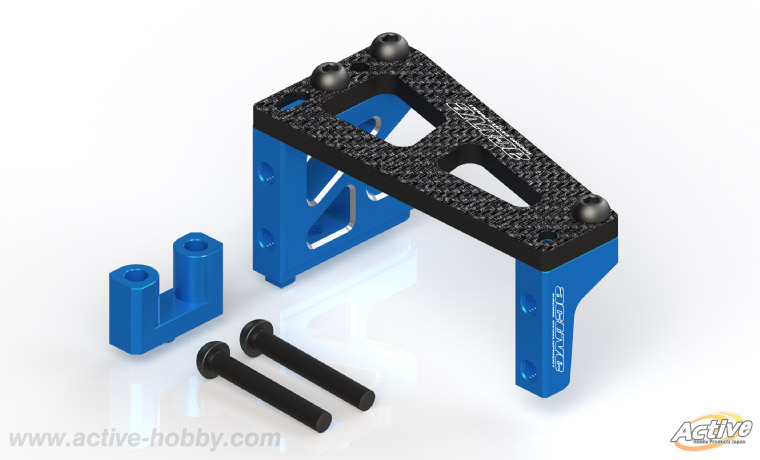 Optimize a chassis roll by making separate-style battery holder structure. 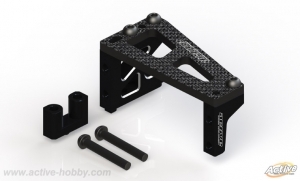 High Bullitt direct servo Horne for TA07 & Drift 2wd cars come up!! High Bullitt structure of the carbon & aluminum. 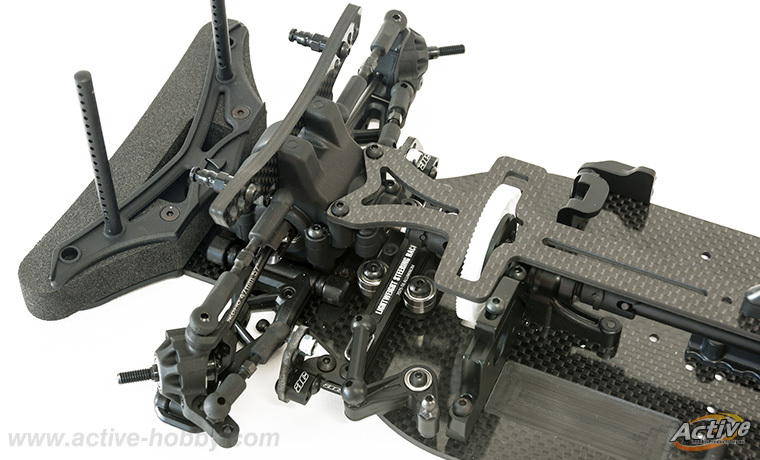 Mild steering properties are provided while keeping a feeling of direct. 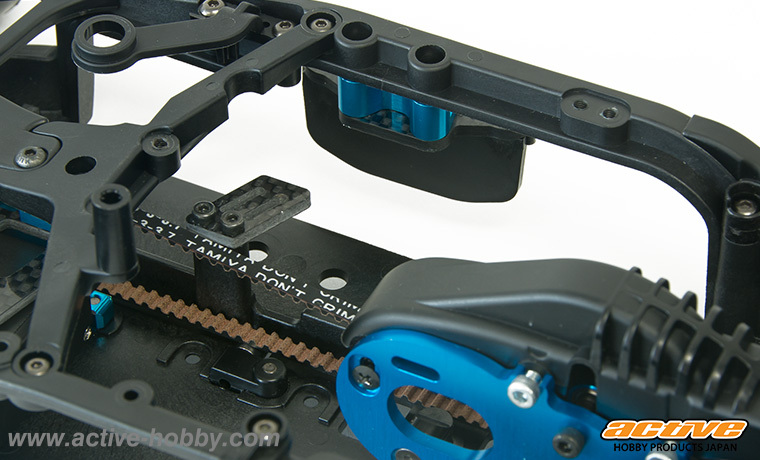 Put servo adopted a reliable clamp type. Secure strength and rigidity in 3mm thickness carbon materials. can use a gyro efficiently. High Bullitt direct servo Horne for High end touringcars come up!! It supports to high-end EP touring cars. 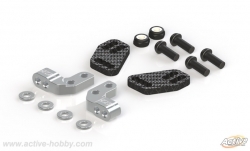 Tamiya TA-07&TRF-419 Suspensionpins weight come up!! Weight to be attached to using front & rear suspension shaft pin. The early characteristic turns big by measuring right and left of the machine, anteroposterior standstill balance. This weight can be attached to lowCG, symmetry nearer the center of the machine. 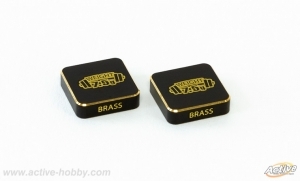 Go look to Active Hobby online shop! 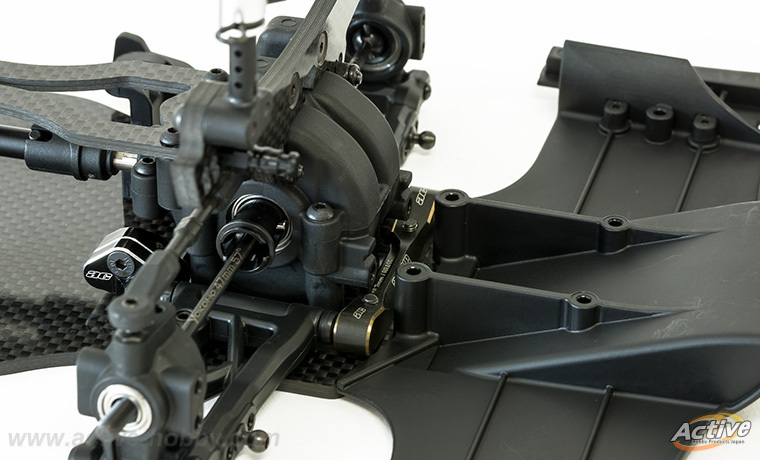 High quality, Setting parts for TA07PRO! 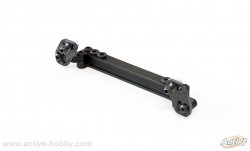 Tamiya TA07PRO alum chassis stiffner come up!! 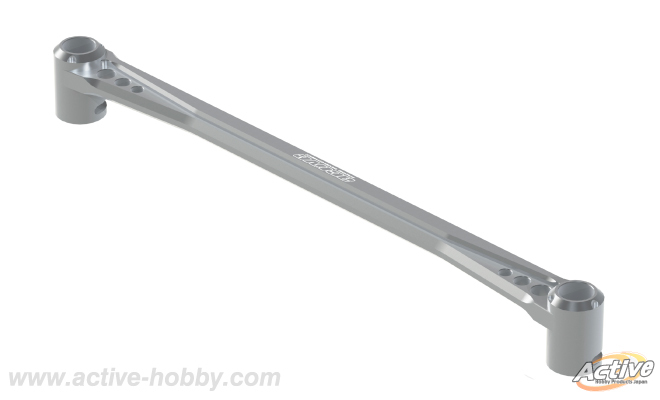 It is an appearance of the aluminum light weight chassis stiffner improving the rigidity of the chassis roll. 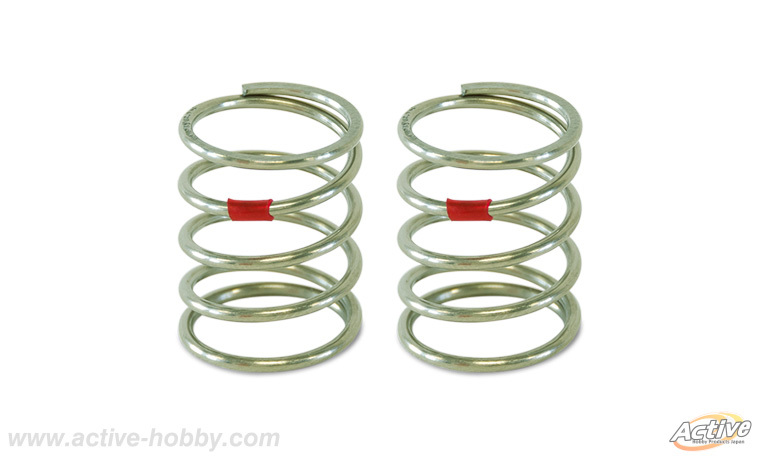 Because the rigidity of the roll direction improves markedly, can suppress the unstable movement in the high-speed corner ring. 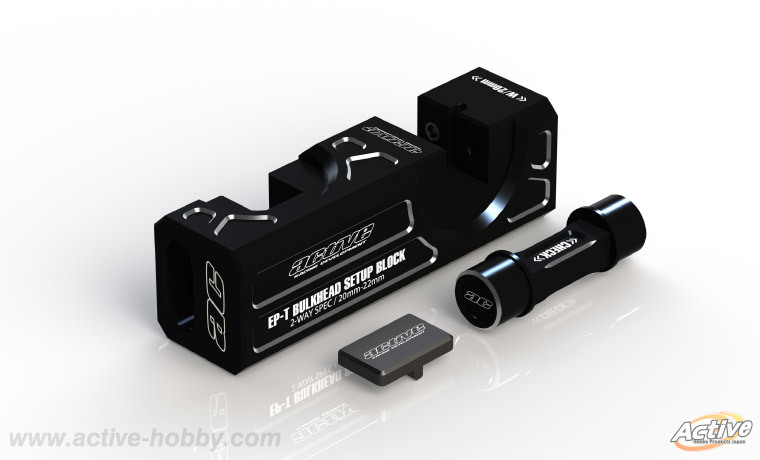 To a road surface grip, please use it as setting parts for exclusive use of TA07PRO. 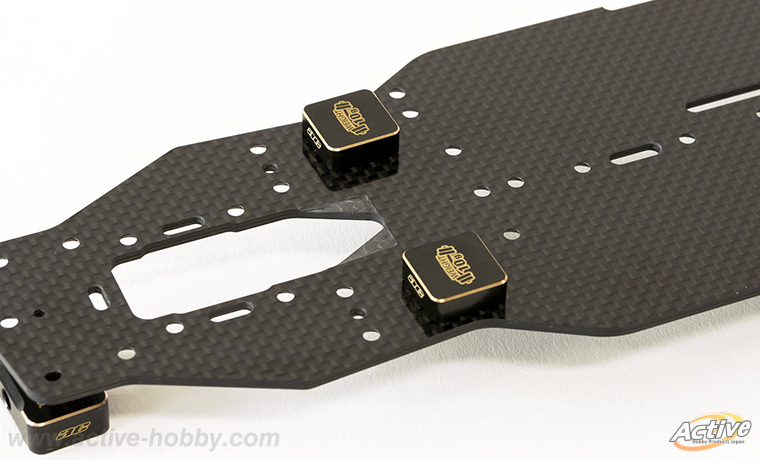 Tamiya TA07PRO carbon uper plate come up!! 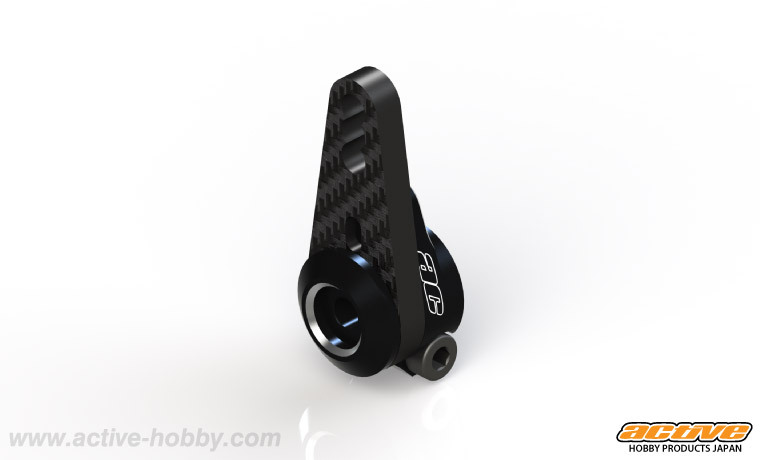 It is the appearance of the carbon upper plate of TA07PRO. can secure chassis pitching rigidity. 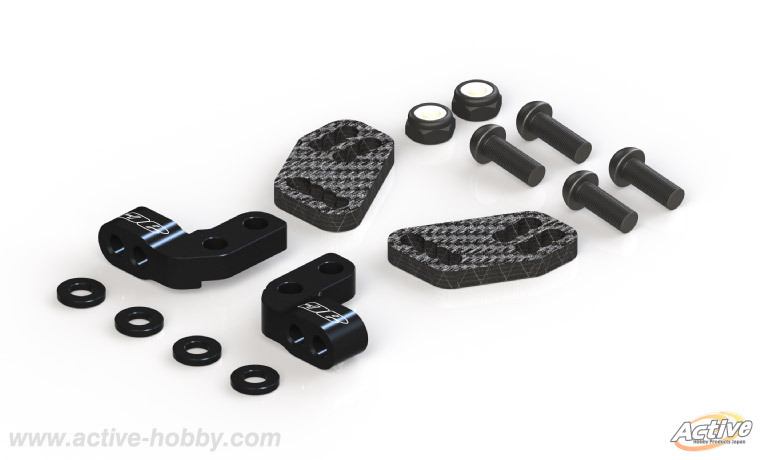 Tamiya TA07PRO alum steering servo mounts come up!! 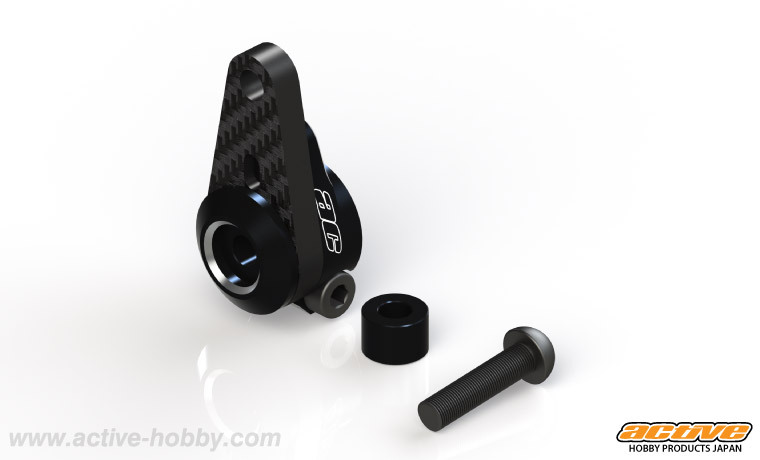 Hybrid of with aluminum and the carbon. 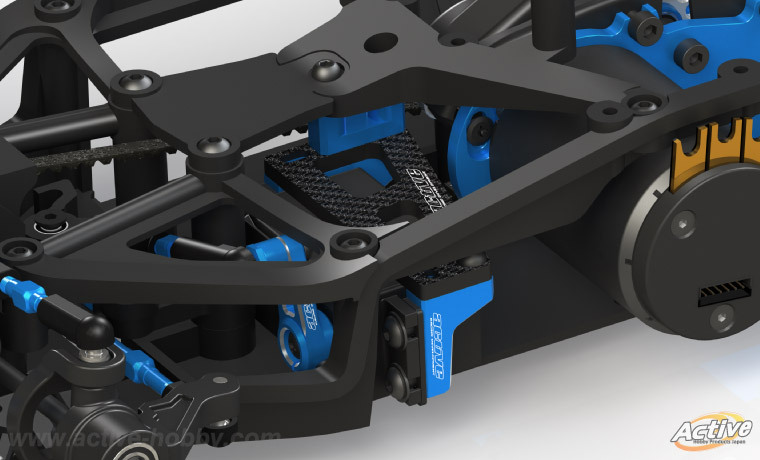 Realize lightweighting and strength up also appearance by a stylish design. 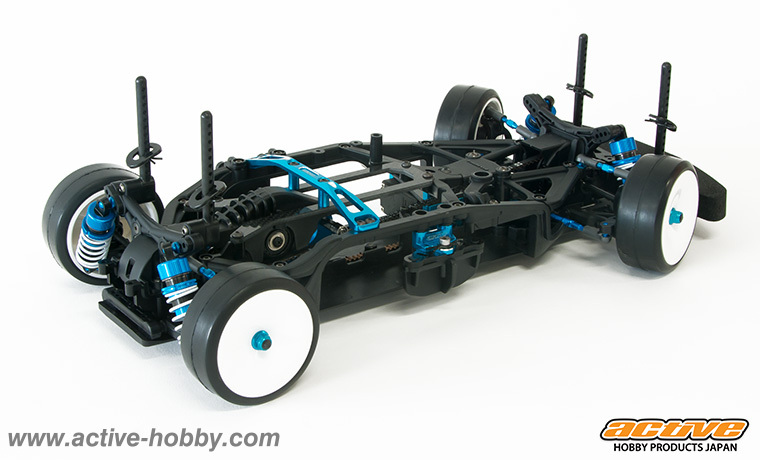 Design which can make the layout such as the mainstream high-end car. 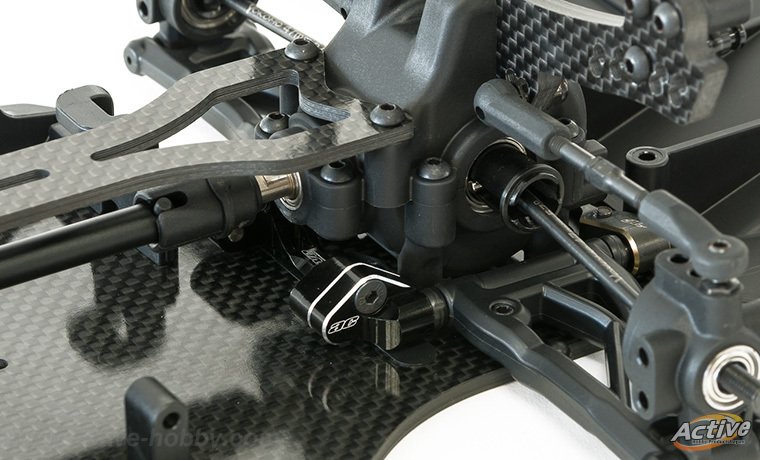 Stable steering properties not to depend on the chassis roll in the intense corner ring were enabled. 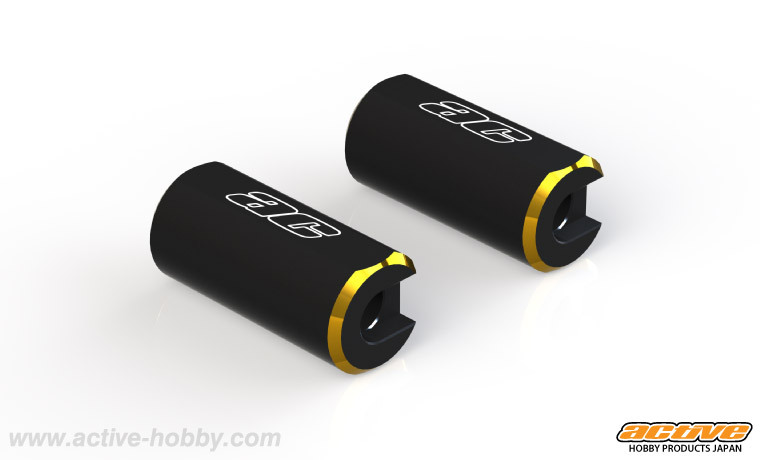 High quality, shock inner sleeve appearance! 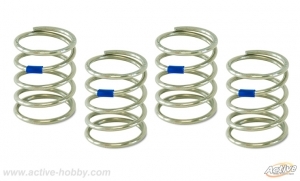 Tamiya TA-07PRO TRF shock Progressive system (For shock inner sleeve)come up!! 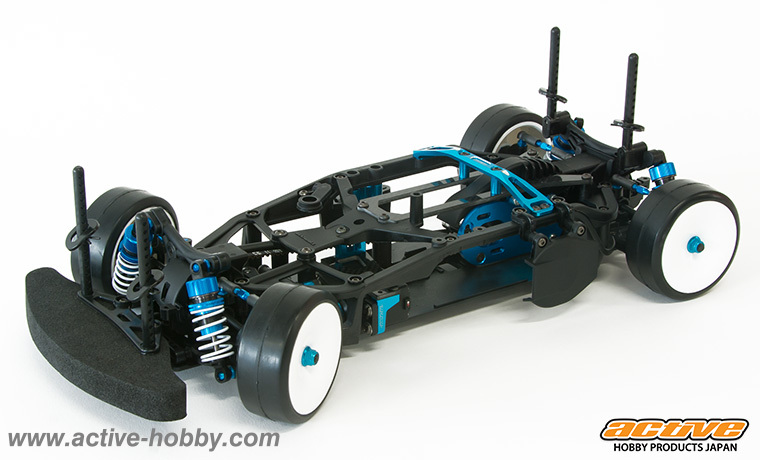 Tamiya TA-07PRO TRF shock Progressive system. 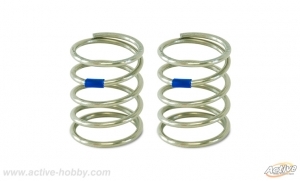 For Tamiya TRF long shock. 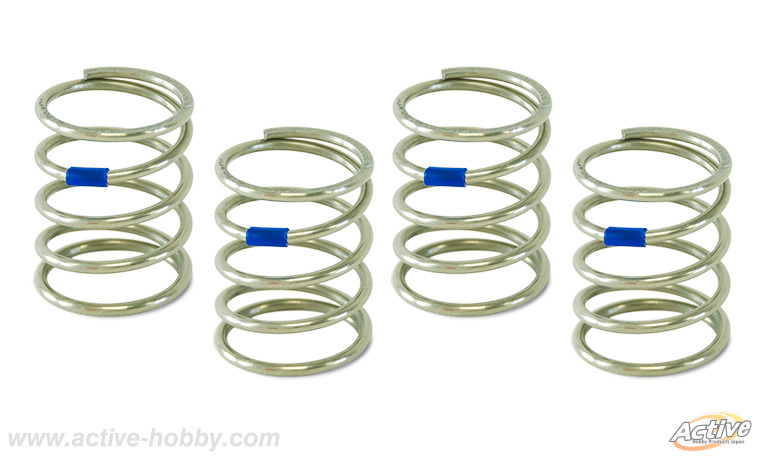 By changing the flow rate of the shock oil when the subducted shock shaft, is an item that can increase the traction. 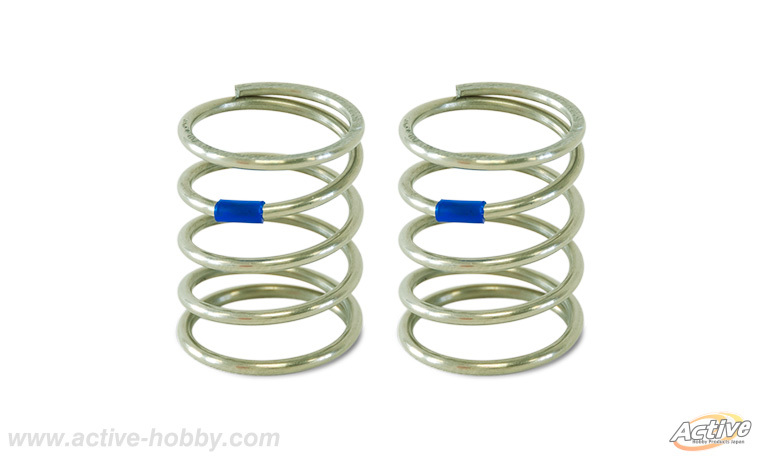 Normal shock piston even when the subducted damper shaft, can be certain of shock oil to obtain the flow damper effect than the hole and the piston side of the piston. 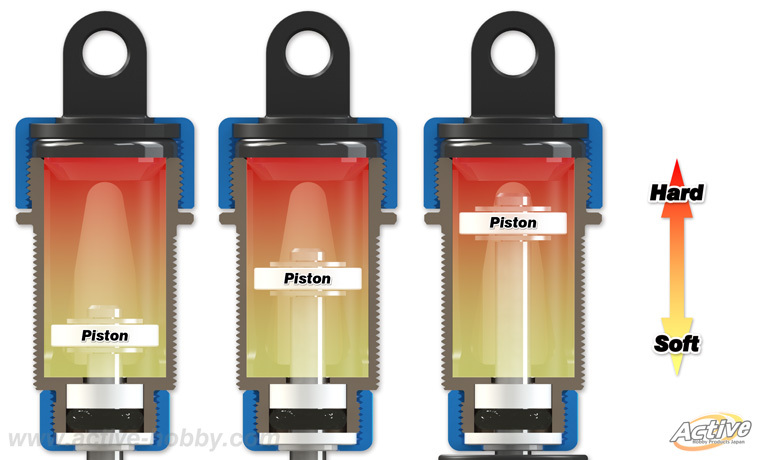 Then by the diaphragm and the oil level, and adjust the length of the 0G state of shock. 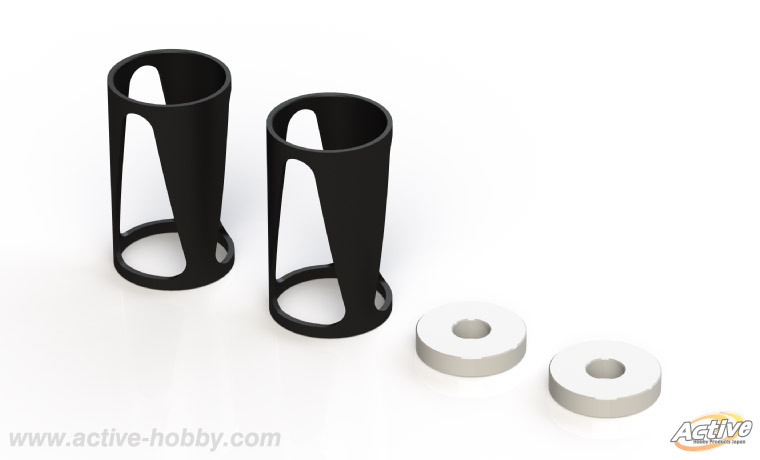 This progressive system is usually a sleeve called the inner sleeve is inserted into the body, use the no different hole piston from the normal. This is characterized by the inner sleeve, reduces the damper oil flow enough to push the shock piston, is a system to change so that the shock effect is higher. Use in the EP touring car. 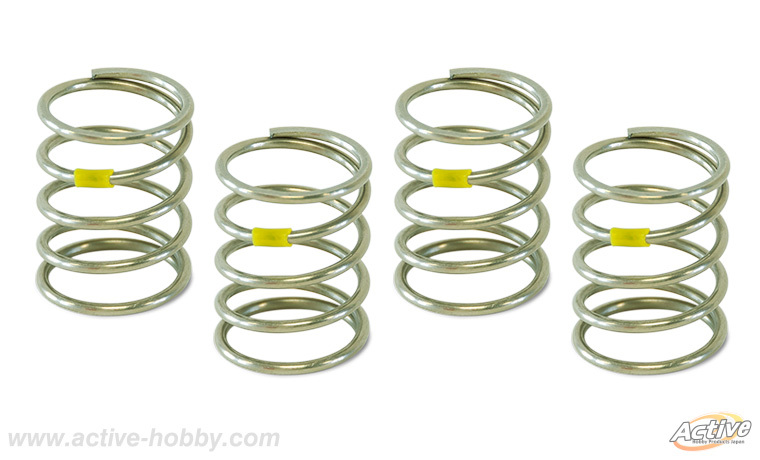 Shock oil is based on the #1000, you must change the count to your liking. 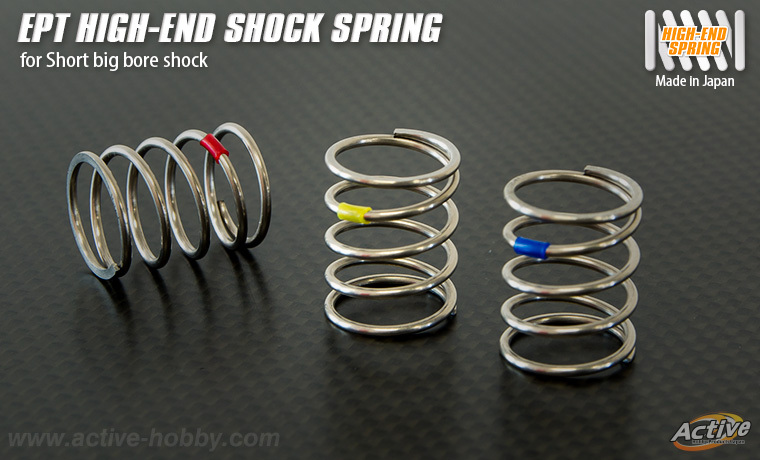 If you want to use in EP touring car, a rear shock, especially the effect is high. 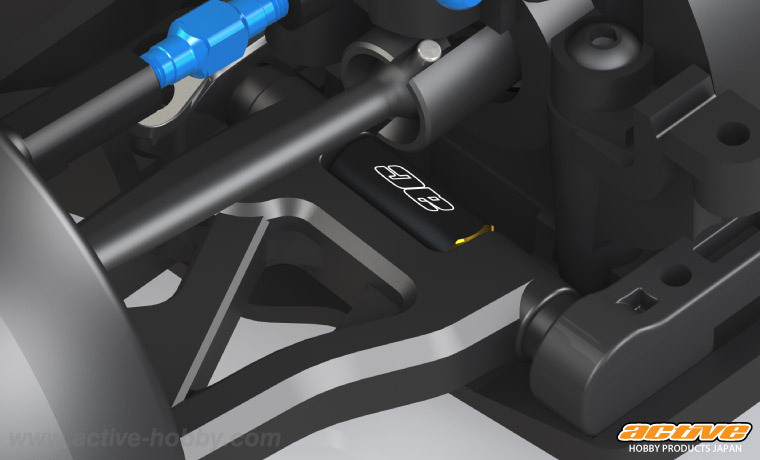 In this case the progressive system was used for the rear shock, rear traction on corner exit is far up, you can attack the corner at ease than ever. 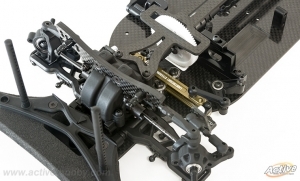 This until now was difficult machine is neutral steer a machine of maneuvering in oversteer, enables stable cornering. 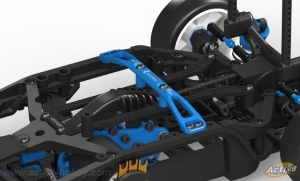 Further, in the case you want to increase the traction of the front tires, the use of this progressive system in the front, you can fast cornering up traction in corner exit. Use in the Drift car. Basic uses a progressive system back and forth. Above with reference to the, you must change to suit your taste. 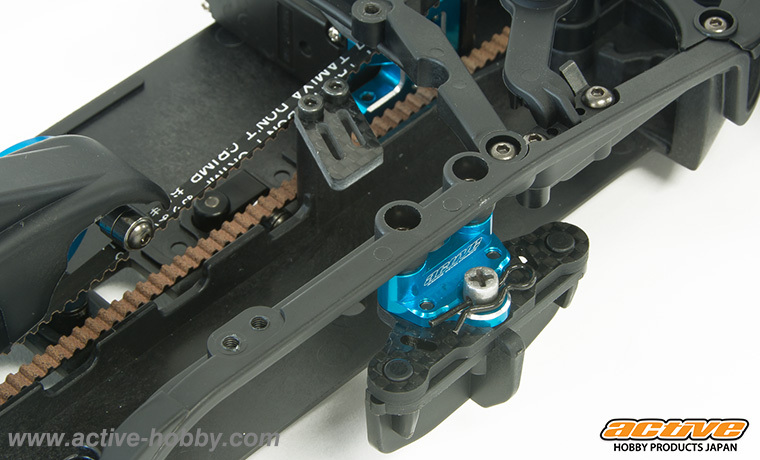 If you use a progressive system to drift machine, especially now popular 2WD machine that is highly effective. 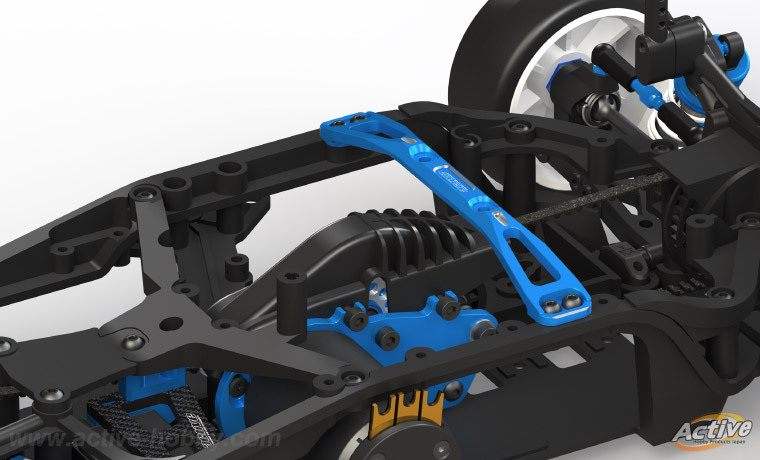 Rear traction can significantly up deep angle stable running by using a progressive system. It is stable even further if you use a high-power motor, you can put out the distance wasteful behavior is aimed at because it does not appear stable. 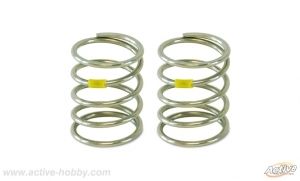 To the Active Hobby online shop! High quality. 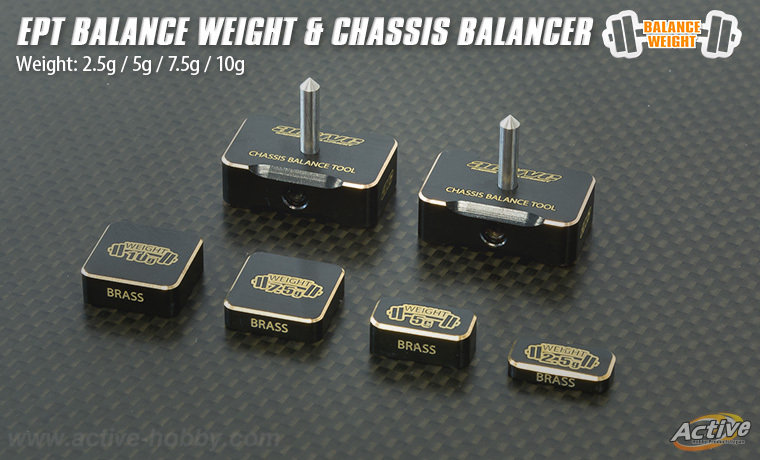 Brass weight & chassis balancer appearance! High quality tool which measures the EPT chassis balance of right and left. Photograph is only a main chassis to be easy to image it, but is a tool measuring the right and left balance of the machine. R000003　真鍮製シャーシバランサーツール(2個）　Chassis balancer tool by Brass. 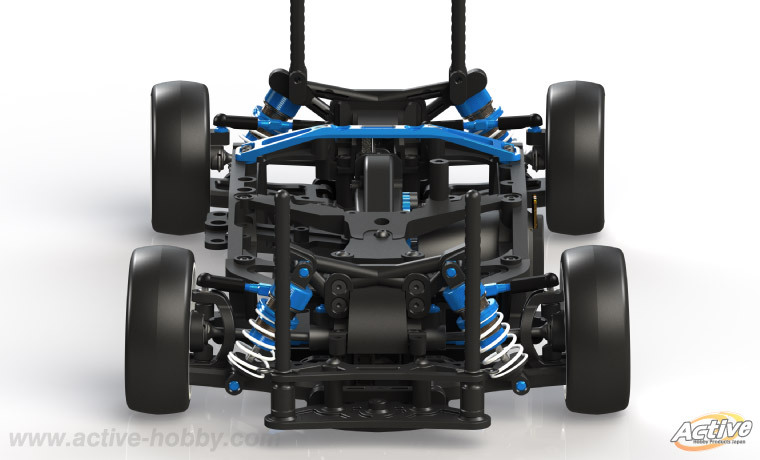 It is the chassis balance of right and left to be apt to overlook by EPT setting. Not only if chassis balance is different, cannot show 100% of machine performance, but also cause understeering, the oversteer in the corner ring and cannot expect it in stable time. 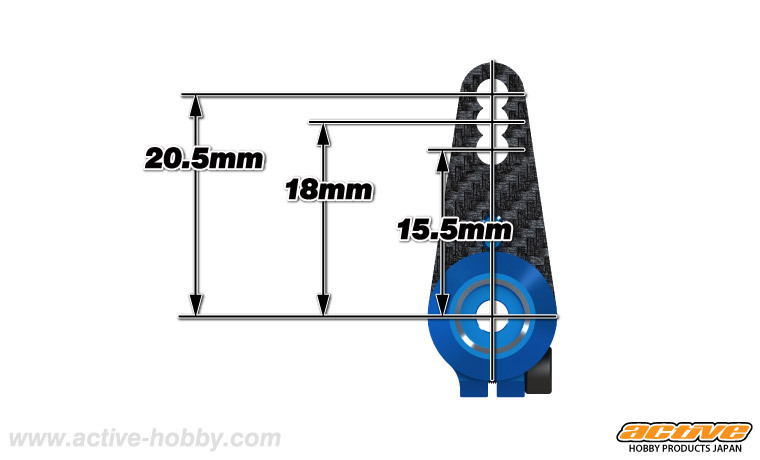 The measurement is very simple! There is a service hall in most main chasses backward with the tip. only ride a shaft part of the tool there. 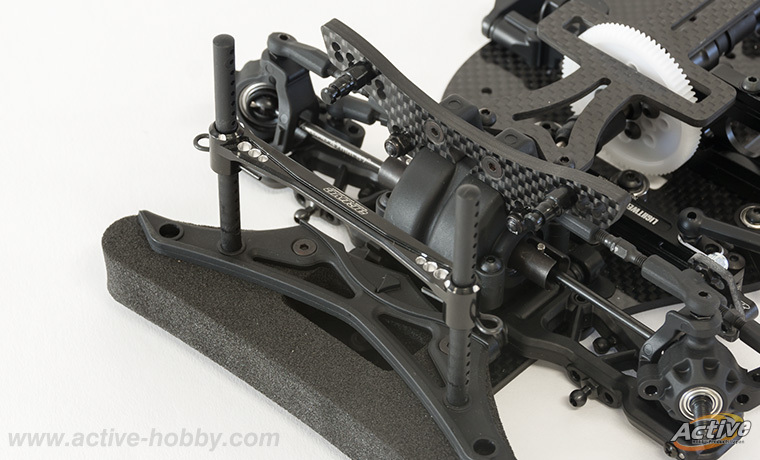 stabilize cornering properties and connected to time-up by fixing the chassis balance of right and left. 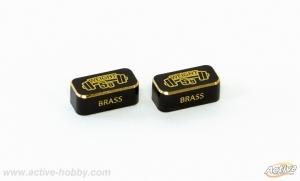 Product made by brass with a feeling of weight, Can possible to stable measurement. Put installation to a machine, please use double-side tape. 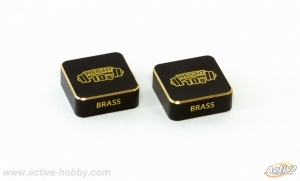 Brass weight sets (2.5 g 5 g 7.5 g 10 g) made of CNC machine cut. but 2.5 g, 5 g, 7.5 g, 10 g were enabled by doing the subject matter to a product made in brass. With the thing which is the highest in the high weight 5.5mm (5 g) and satisfied without interfering it under the steering of the EP touring car. 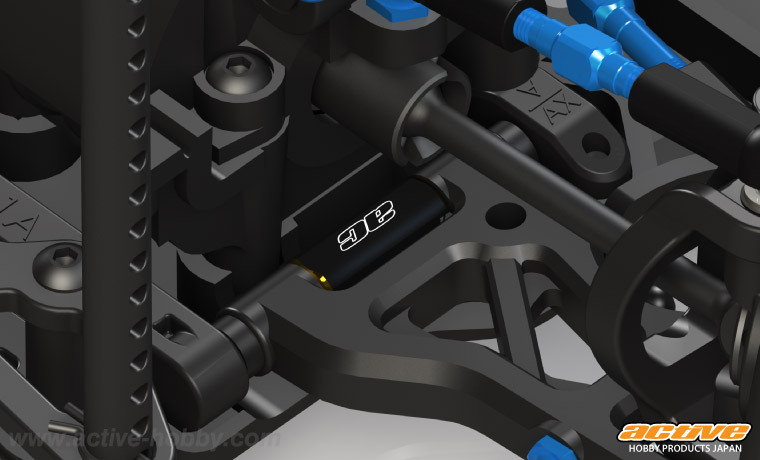 Because by 2.5 g could make a fine adjustment, in the race scene where severe weight limit was carried out, ideal weight and right and left distribution were enabled. 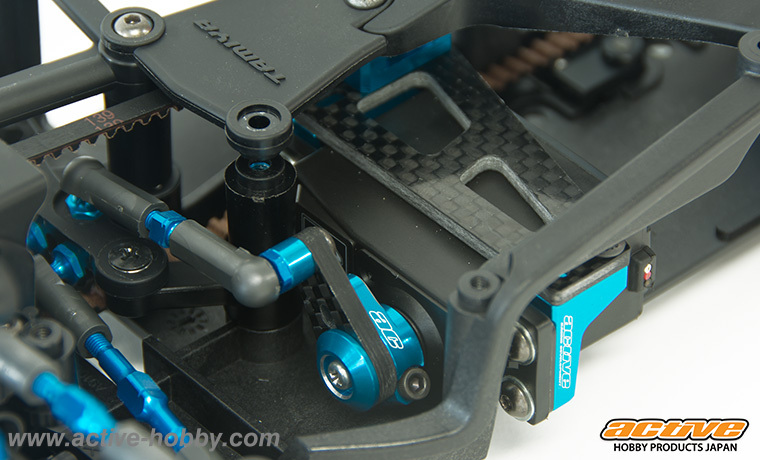 The ideal corner ring which I got of the balance is enabled by using it together with chassis balancer. 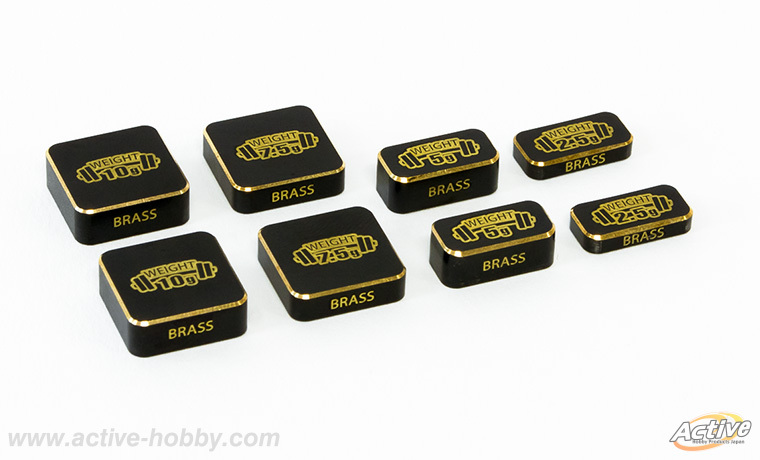 Japanese company Active Hobby Products have introduced their chassis balance tool and also an arrangement of brass chassis balance weights. 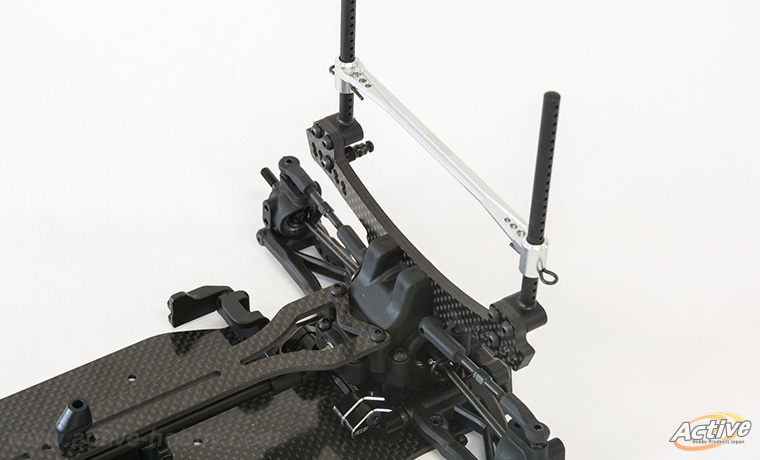 Starting with the balance tool, it adapts a common design that helps to achieve a perfect left-to-right chassis balance without the use of scales. 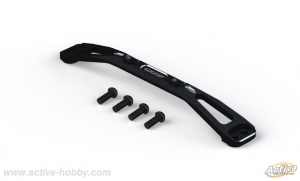 The tools offer a sturdy base and hardened steel pins that interlock with the balance holes most of today’s electric and nitro on-road chassis have to offer. Placing the car on the pins and using additional weights to balance the left and right weight help to achieve a 50/50 weight bias in order to gain equal left and right hand turning characteristics. 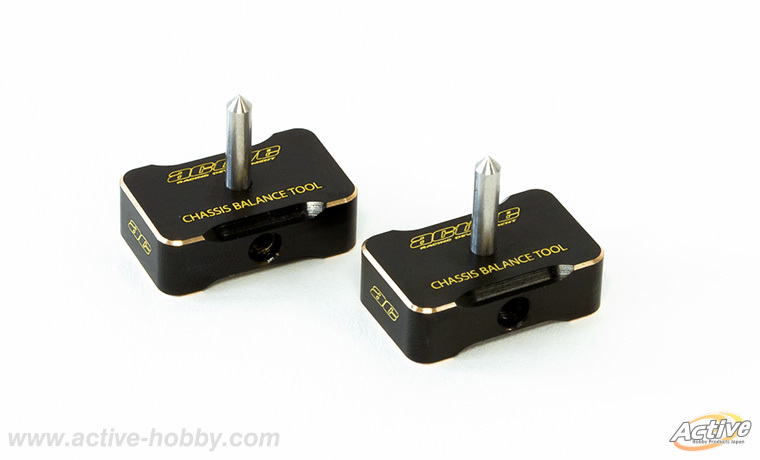 The balance tools come in sets of two and they hit stores soon. 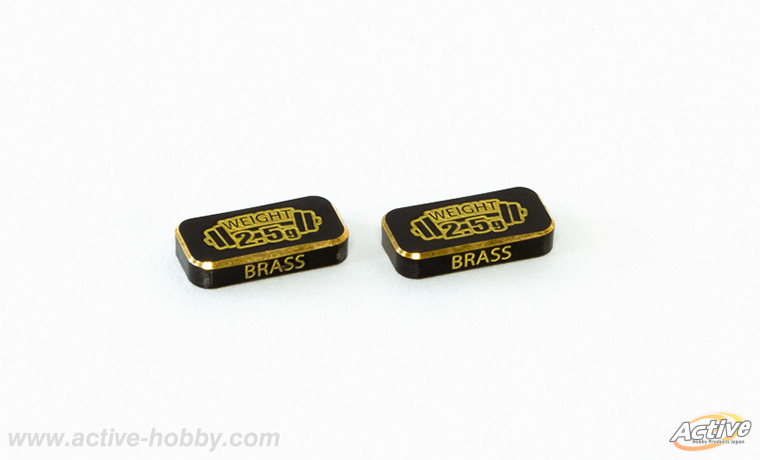 Also new and the perfect complement for the above tool are the fine-tune brass balance weights. Available in 2.5g, 5g, 7.5g and 10g variants the weights are of a low-profile design with the tallest being the 5g weight that measures 5.5mm in height. 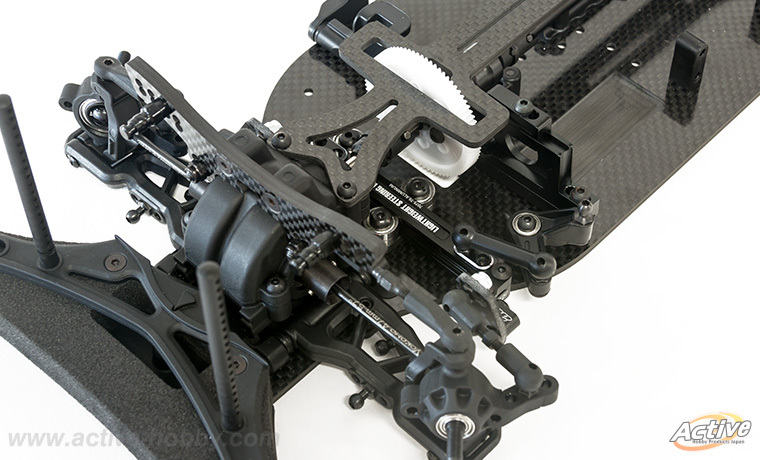 This allows to mount the weights even in crowded surroundings such as the steering area without having clearance issues. The weights come in pairs, they are black anodised, sport brass-coloured edges as well as flashy etchings for easy identification. 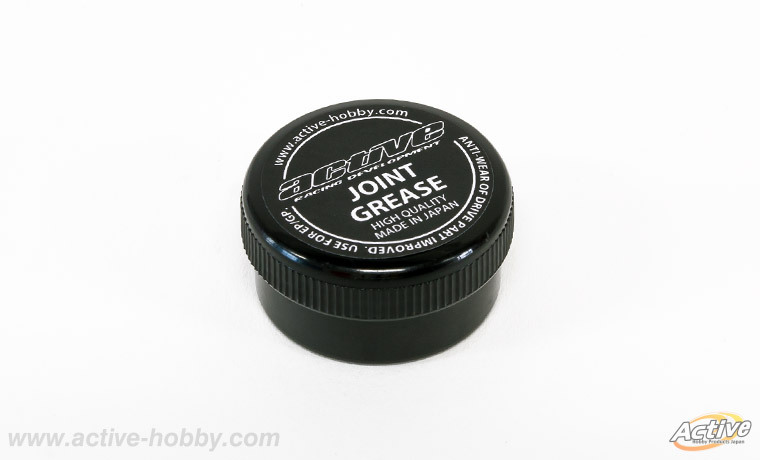 高性能ジョイントグリス登場！ High quality joint grease made from Japan. 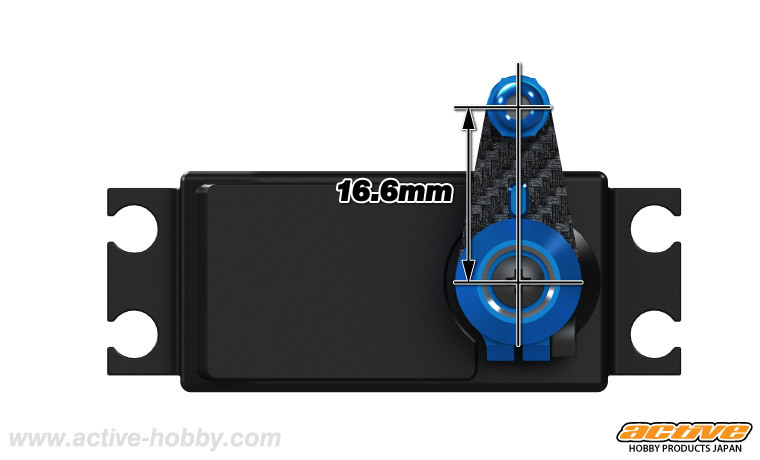 Active hobby New products Announce on Aug 16'. 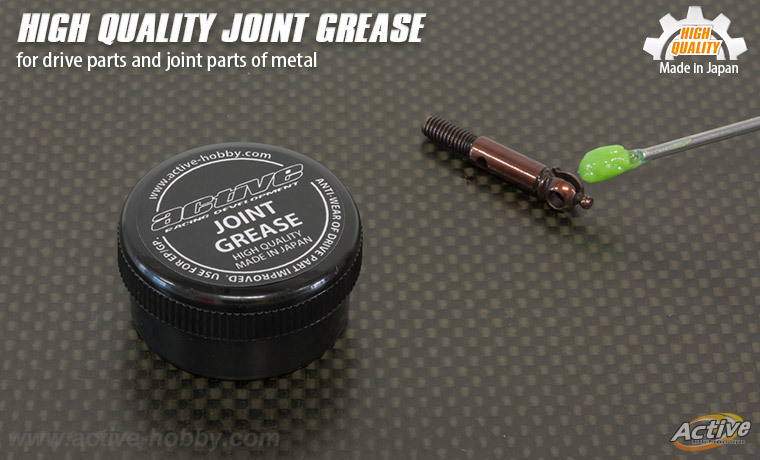 High quality joint grease made from Japan, Use for EP&GP model. R000002　ジョイントグリス（5ｇ）　High quality joint grease. To reduce the resistance to be applied to the metal part and the drive unit to minimize the smooth drive and wear. 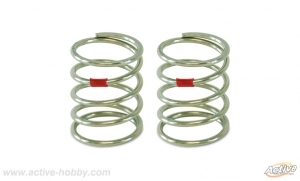 CVD Joint and dog-bone pin of the universal joint, suspension ball, also use the thrust bearing. 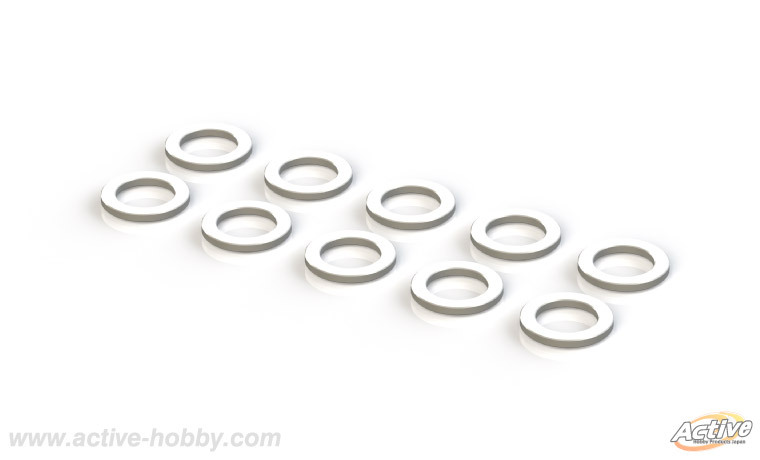 Less likely to scatter because of high viscosity, it can be maintained for a long period of time performance. When applied to the joint part, use the ones narrow previous toothpick. 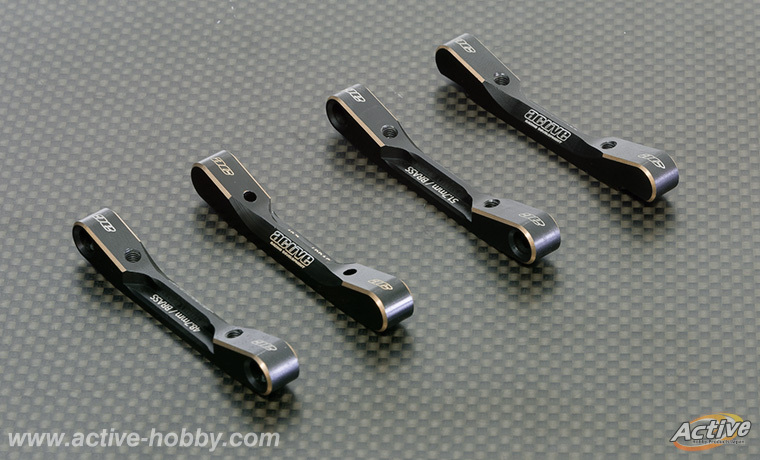 Team ARC Japan drivers mineral grease that have been over a test debut. 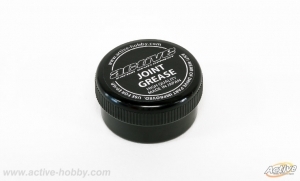 Active Hobby have introduced their new Joint Grease lubricant. The high-viscosity lube is best used on universal and CV-style driveshafts, driveshaft pins and also thrust races and suspension balls as its texture let the chemical stay in place even at high RPM and under severe load. The green-colour grease comes in 5g containers and it is available now. 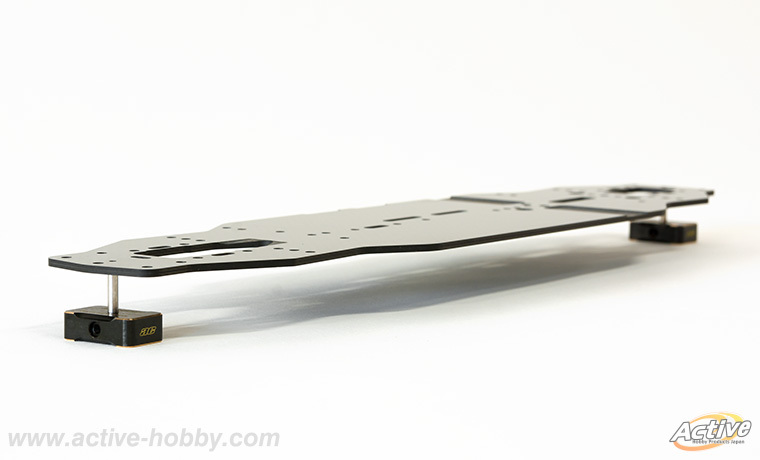 Active hobby New products Announce on July 16'. 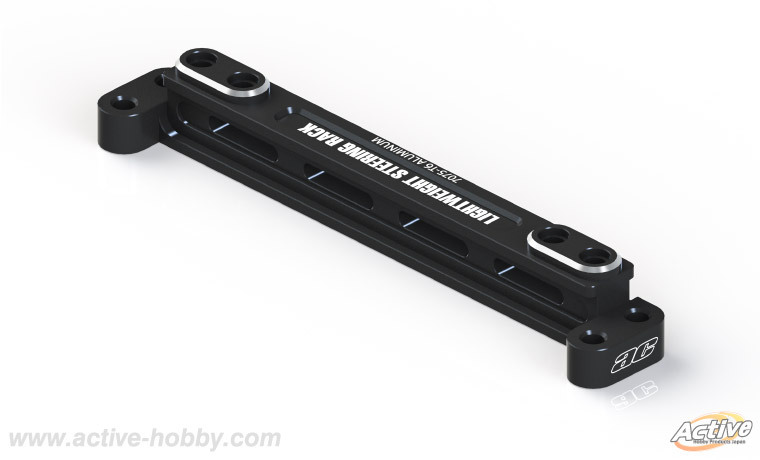 Setting A.D sus holders for YD-4 come up! 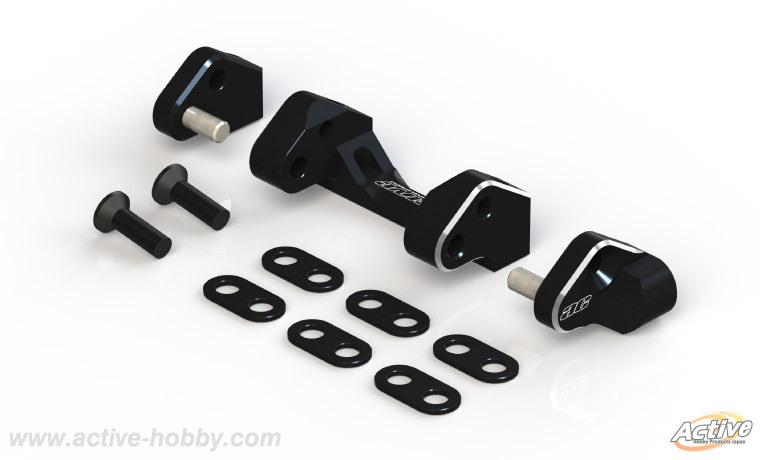 Suspension holder with the rear toe corner as adjustment type for Yokomo YD-4. リヤ加重が欲しい場合のウエイトに最適です。 It is most suitable for weight when need rear weighting. 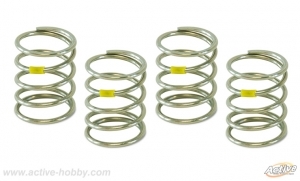 Setting shock springs for EPT come up! 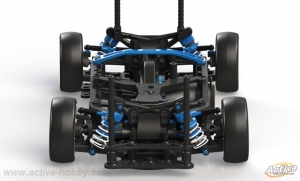 Fittingly, it features corner turning of the good and the traction height! Standard sets by N2.5(M yellow). Please use N2 .4 (MS red) or N2.6(MH blue) and it properly by the run feeling of each driver and characteristic preference. Our spring is to assume full length 21mm, and spring pace becomes wide. Turning performance went up the front more, and the rear was able to secure traction surely. Also little of steering and a quick corner without the stall possible and the tire abrasion degree decreases, too. 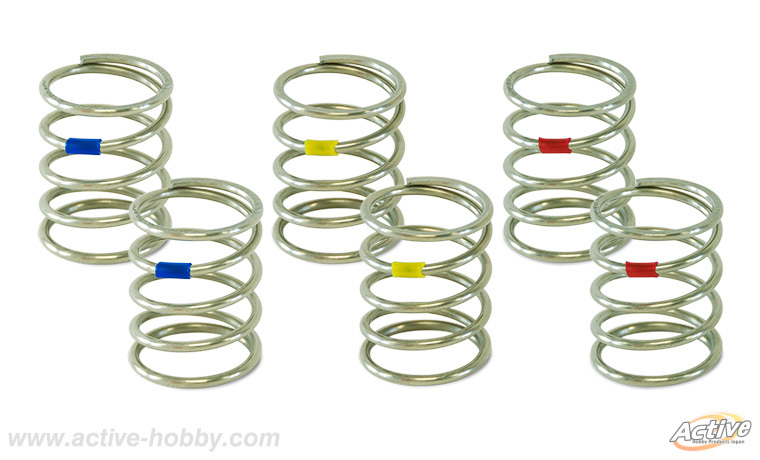 Coming from Japanese company Active Hobby Products is a range of 21mm big bore touring car springs. 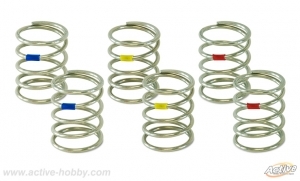 They are available as medium soft 2.4, medium 2.5 and medium hard 2.6 variant made from 1.4mm wire. containing a pair of each spring. Quoted the English from RedRC. ミニッツレーサー他、工作キット、精密部品向けアイテム 新製品！　New staff for Mini-Z etc !! Active hobby New products Announce on Jun 16'. 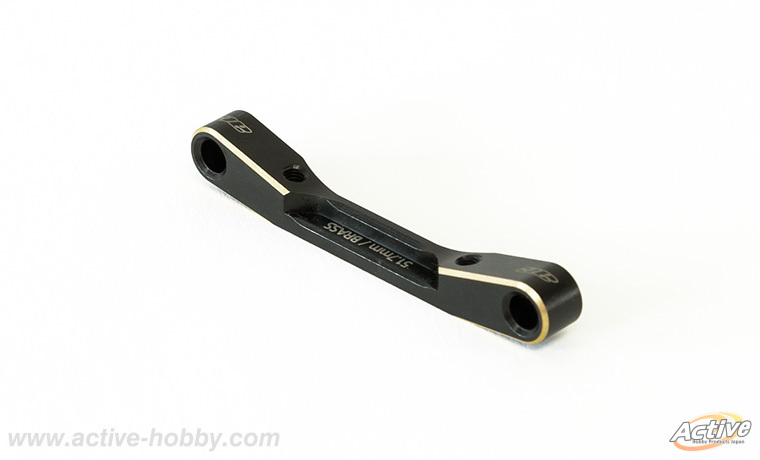 Setting tool for EPT come up! 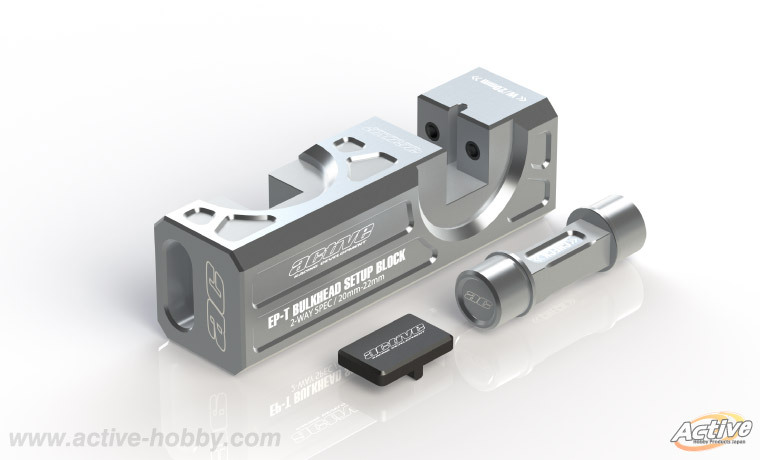 The TOOL which supports the assembling of bulkhead and the Diff unit of high-end EP touring car. 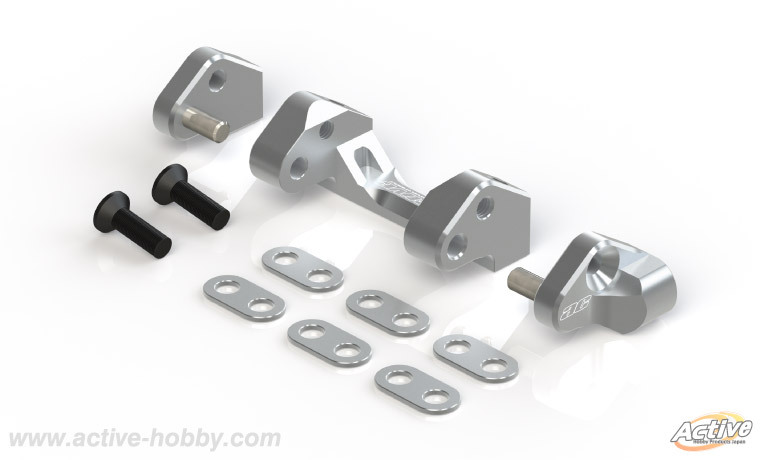 It was the parallelism of the alumi bulkhead of right and left, and getting out center of the Diff,Spool unit became easy. キットの組み立てやメンテナンスに最適です。It is most suitable for assembling and the maintenance of the kit. Because the bulkhead made of aluminum, may be warped in mild crash. Can prevent the trouble by using a bulkhead setup block regularly. EPT bulkhead setup block tool. to check for any misalignment as result of a crash. 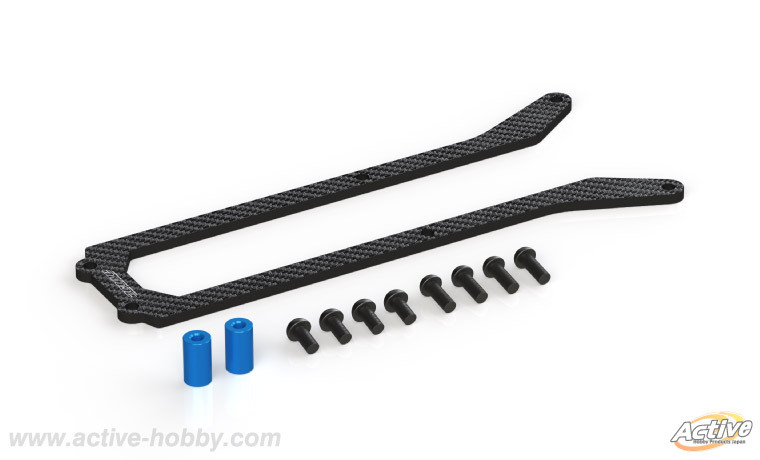 such as the ARC R11 and R10 as well as 22mm kits such as the TRF419 and Yokomo BD7. 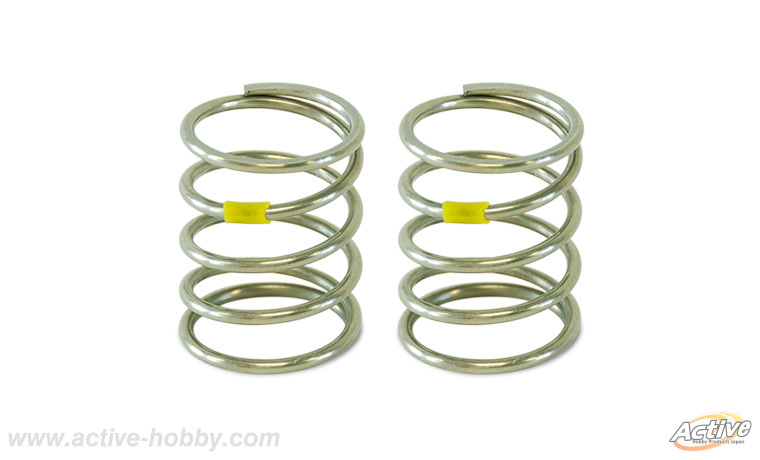 Setting parts of YD-4 come up! Also have Dark blue and red for only export. Change the material and lightweighted. 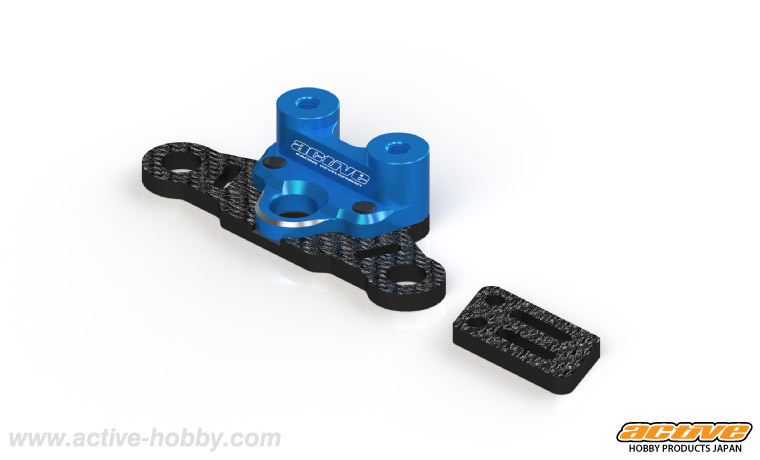 Setting parts which hold front heavy. Original 30 g. Product 9.5 g.
Strength equal to steel and processed CNC by one by alloy 7075 materials. One pices exact processing, Realize a smooth slide for a long term. STR376 which gave high hardness processing (Head Anodizing). もちろん、各商品は純正品と取り換えて、無改造で取り付け出来ます。Of course, each product can be installed in unmodified. Stylish design which compounded with carbon and aluminum. 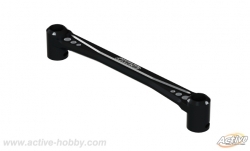 An arm set to widen steering setting width in maximum. Of course, each product can be installed in STR375&376 also Original unmodified. 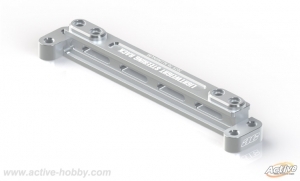 CNC cut aluminum tower bar is 12mm width hold the body mount. Mounting strength is greatly improved. 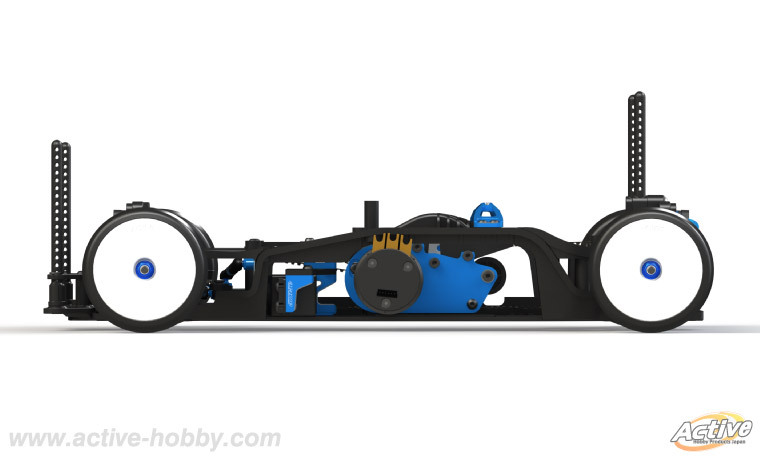 Will reproduce the body style of the time drift in real.